A Love Sign is the Zodiac Sign that Venus was in at the time of your birth. Venus is famously known as the Goddess of Love, hence the name. Venus represents the qualities of love, romance, sensuality, culture, beauty, affection and social appeal. The Planet Venus is therefore very prominent in aspects of love; influencing how you attract love as well as how you act in a relationship. Sometimes a persons Venus Sign will be the same as their Sun Sign, but it may also be different. Your Venus Love Sign is never more than two signs away from your Sun Sign. By reading your Love Sign interpretation you may find answers to why you act so differently than your Sun Sign dictates when you are in love. You'll notice when you fall in love that these attributes become more noticeable. Each of the four elements found in the Zodiac will also influence your Venus Sign. Aries, Leo and Sagittarius are all Fire Signs, Taurus, Virgo and Capricorn are Earth Signs, Gemini, Libra and Aquarius are Air Signs and Cancer, Scorpio and Pisces are Water Signs. 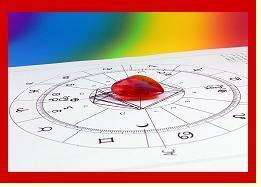 Each Sign in an Element takes a different angle on the general ways we interact with others. For example, Fire Signs all seem to have a dramatic flair, tend to initiate things, and are demonstrative. Earth Signs, on the other hand, seem to be more possessive, focused and steady. Air Signs tend to be intellectual, poetic and versatile, while Water Signs tend to be sensitive, sentimental and idealistic. Each individual Sign within these elements take these generalized characteristics and put their own twist to them. Take a look at how you behave when you're in love… you'll see aspects of yourself you may not have understood before. You may think that all the characteristics for your Venus love Sign do not fit you. Perhaps that is true. Remember, each of your Signs is tempered by the others. If you really look at yourself and how you behave, you are sure to find at least some of the characteristics for your Love Sign that describes you to a tee and hopefully youll understand why you do the things you do in the name of love. 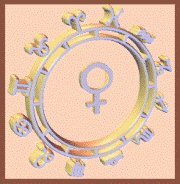 To find what Sign Venus was in at your birth use our free online Birth Chart Calculator.